grandma's cookie jar: More "buzz" about Deeper In 4 Grandparents & Parents, Too! 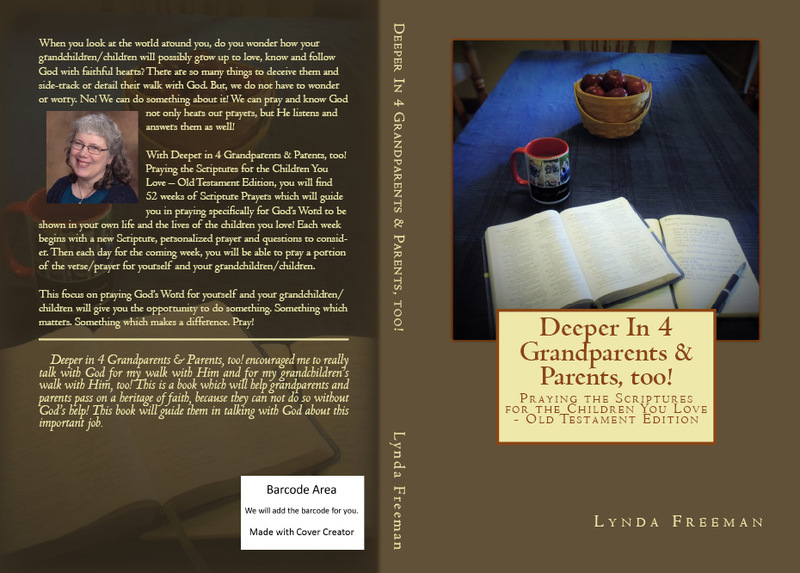 More "buzz" about Deeper In 4 Grandparents & Parents, Too! Yesterday I shared with you some of the fun things people - who just happened to be three readers of grandma's cookie jar! - are saying about my new book. So, today I thought it would be fun to share a few more comments from people who read grandma's cookie jar; including some of my family, too! “After reading Deeper in 4 Grandparents & Parents, Too! Praying the Scriptures for the Children You Love – Old Testament Edition, my commitment to pray for my grandson has deepened. It is so important in today's busy and hectic world, in which our grandchildren are growing up, we, as Christian grandparents, pray not only for our grandchildren, but for our grown children as well. I grew up without Grandparents and know the void I felt when others around me talked about their relationships with their grandparents. I longed for this as a child. So, now I have the opportunity to invest in my grandson's life, and am taking full advantage of it! About a dozen people have taken a look at my book and then wrote what they think . . . I'm so happy to hear they like it! And, they are not all related to me! Thank you everyone for your kind words! Stay tuned . . . when it releases I'll be having a give-away!